Tired of that dumpy old loose pull over dress? 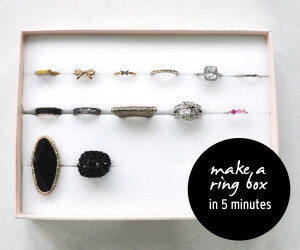 Transform it into something fun with some quick stitches, lace and ribbon! In Singapore where it’s summer all year round, layering just makes me want to run home and hide in a/c. So time to transform this dumpy loose dress into something more fun, and without a need to layer! If the dress hung low like it did for me originally, try it on and cut more off to shorten the dress, leaving a little bit more for the seam when you stitch it back together. Taking one side of the front strap, twist outwards a few times (keep count and twist the other side the same number of times!). It would look like this after a few twists. I did four twists on mine. 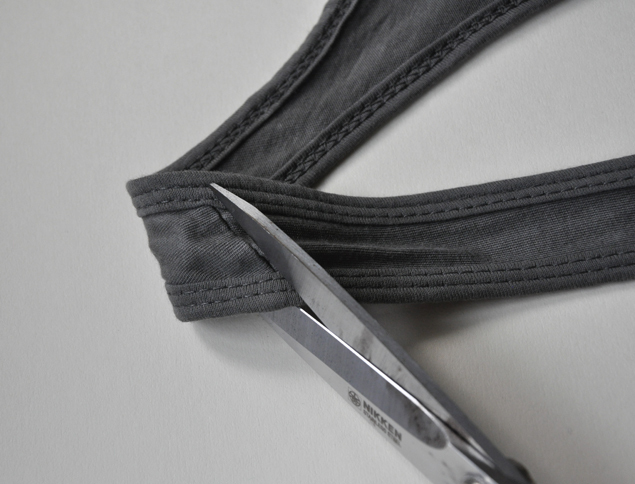 After twisting, pin the front strap to the back, with the correct sides facing each other and the raw edges facing outwards. 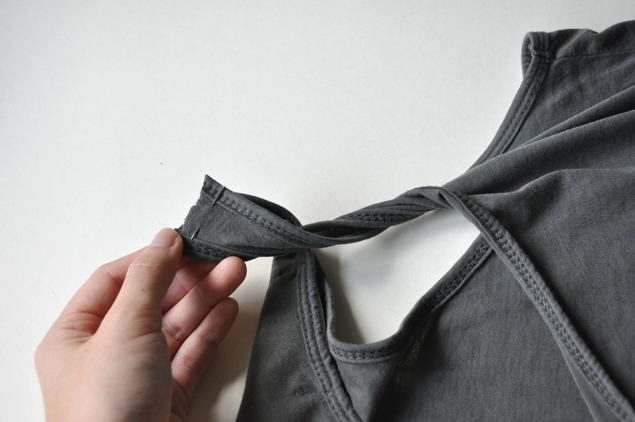 Stitch the seams together using a sewing machine or by hand. I decided to add some black ribbon towards the top for extra detail. 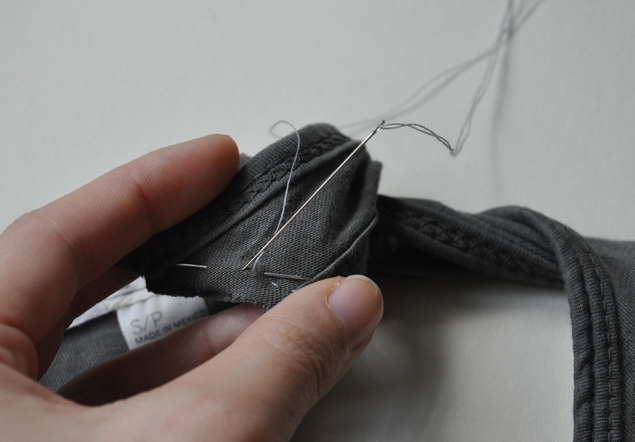 If you’d like to do the same, wrap some ribbon around the seam you just sewed. 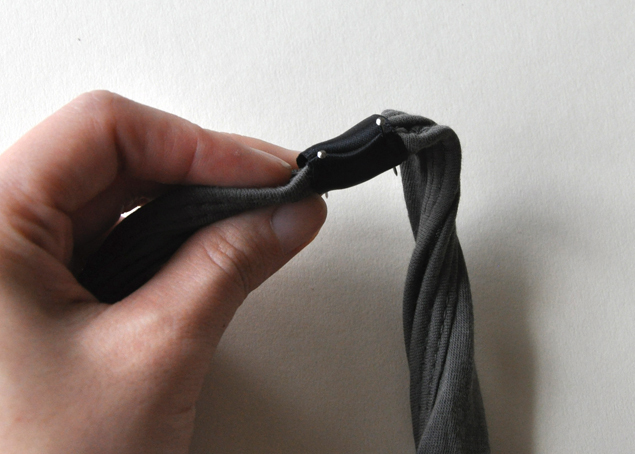 Fold the last bit of ribbon back to prevent fraying. 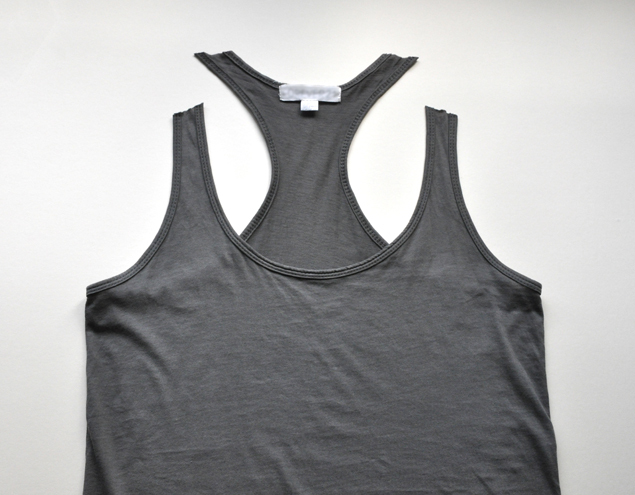 Pin and sew down using a sewing machine or by hand and you’re done with the top portion! Now for the base. 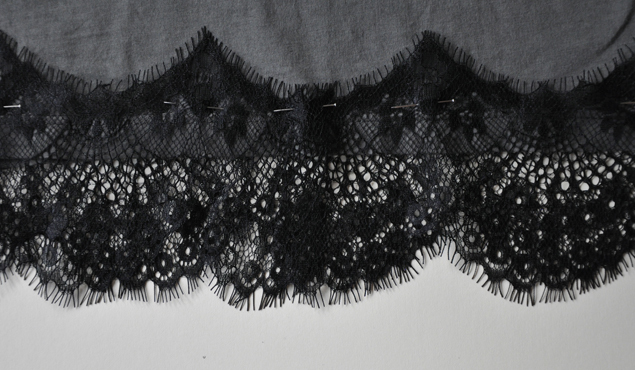 Wrap your lace around the bottom of the dress – here, I chose to have the lace join at the center back. To keep the height consistent, make sure the same motif in the lace design touches the base hem each time. 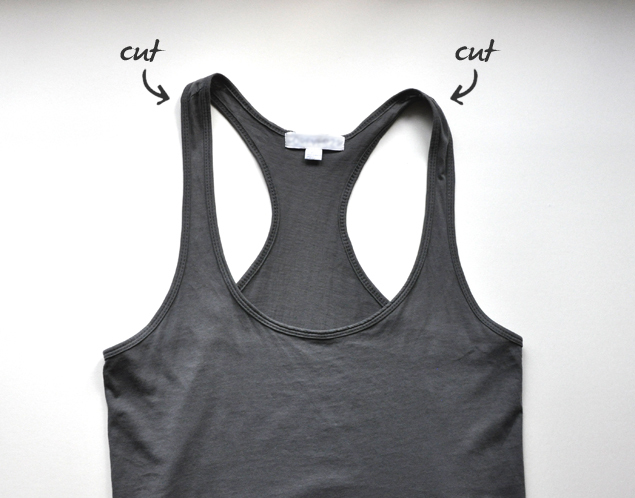 Pin down and sew using a machine or by hand. 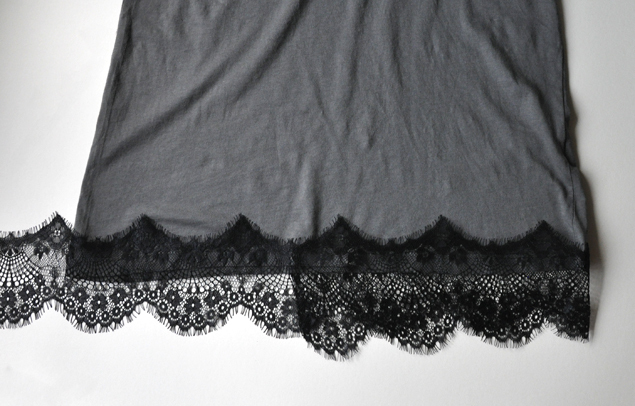 Where the lace ends at the back, try to have it overlap at the same curve so it won’t stick out! And there you have it, a fun new lace dress! 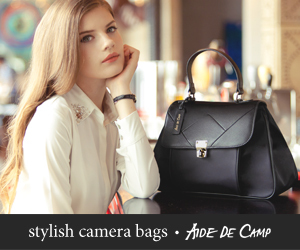 Clear your closet and create new pieces!